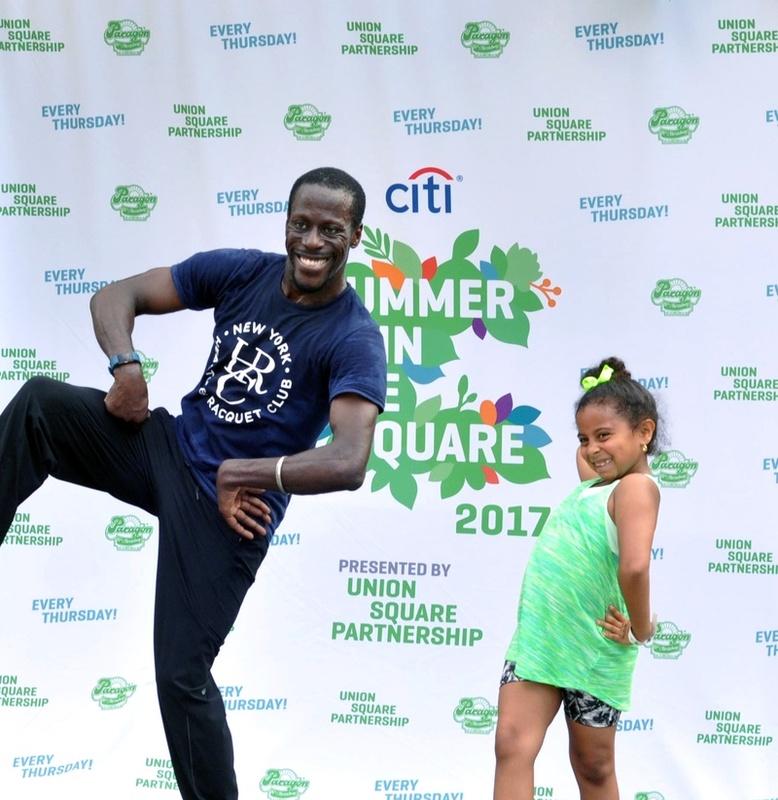 Today is your last chance to catch Citi Summer in the Square, the summer-long event by Union Square Partnership that takes over Union Square every week with over 100 events, from fitness classes and family-friendly games to live music and dance. 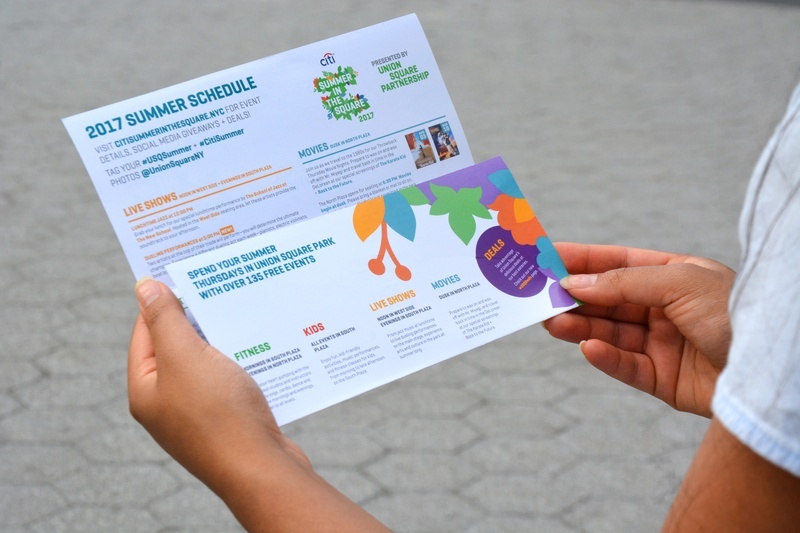 C&G Partners created the original visual identity and this is our third summer of producing new print collateral, graphics, and streetscape elements. 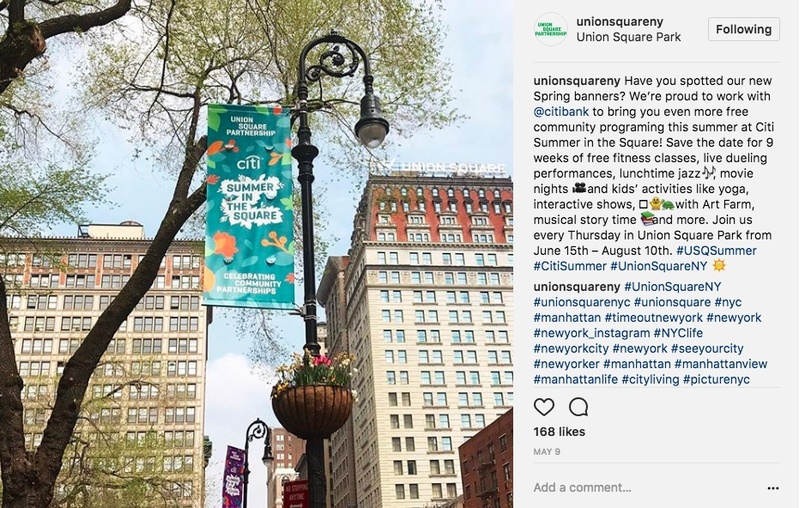 The Citi Summer in the Square logo centers around a dynamic illustration inspired by the foliage found in Union Square Park. 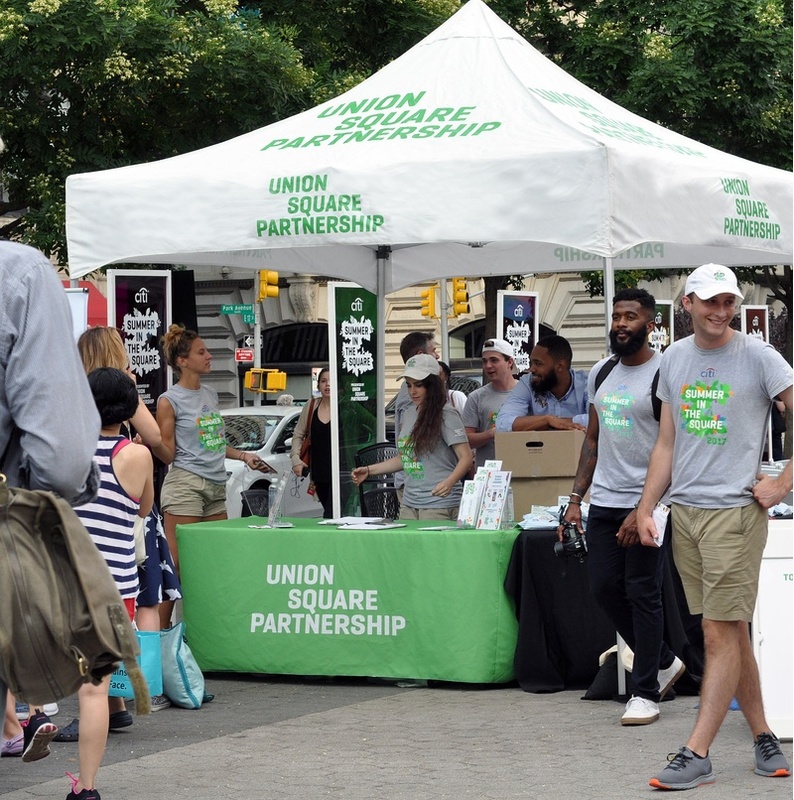 Clean white backgrounds are paired with vibrant banners, a-frames, and park posters that use Union Square Partnership's palette of distinct and approachable colors. 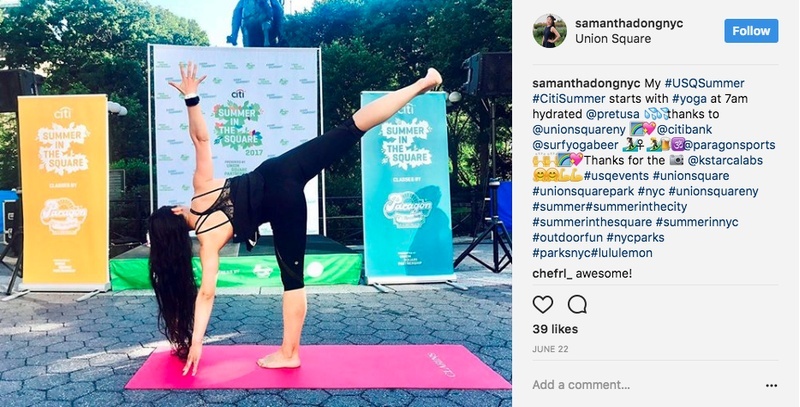 The contrast works as well on social media as it does IRL. 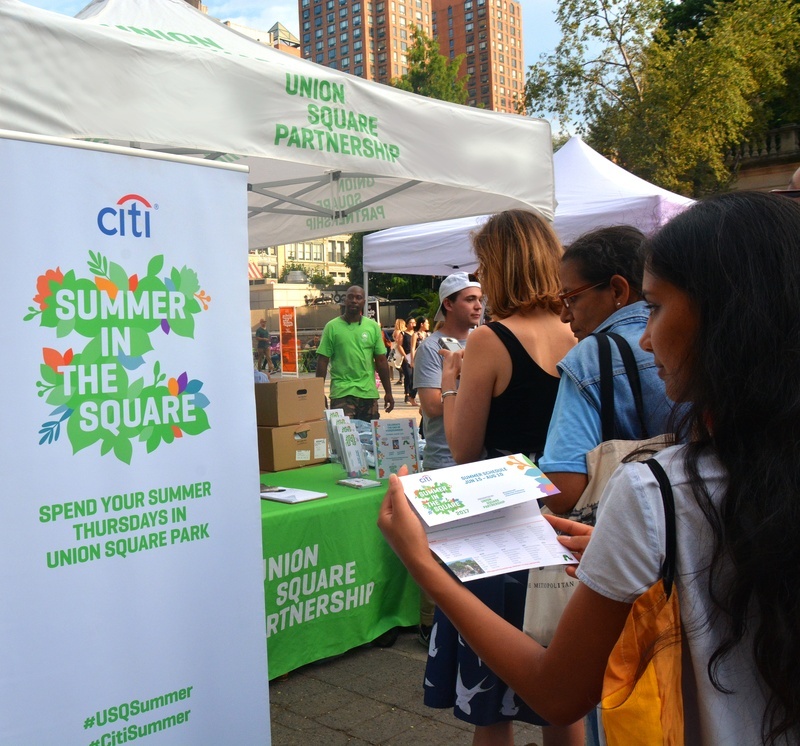 Like the other Union Square Partnership events designed each year by C&G – Harvest in the Square and Sweat Fest – the Citi Summer in the Square brand incorporates USP's systematic staggered text as a dynamic, user-customizable element. 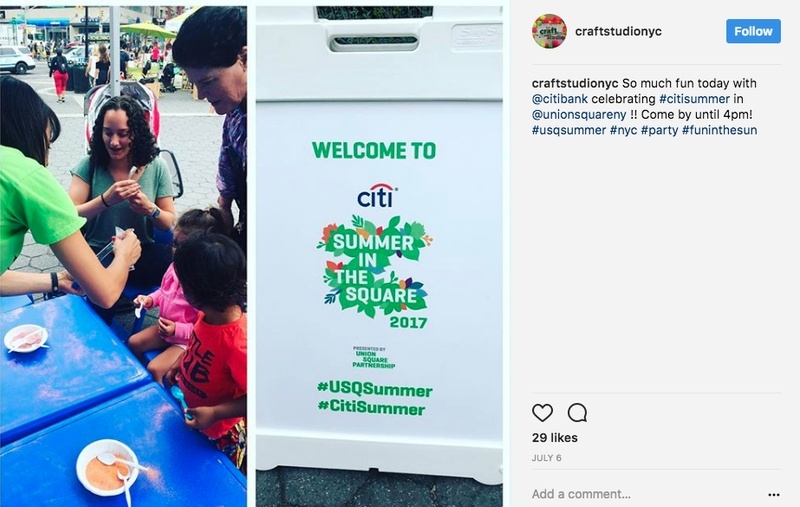 As always, type is set in Geogrotesque by Eduardo Manso at Emtype. 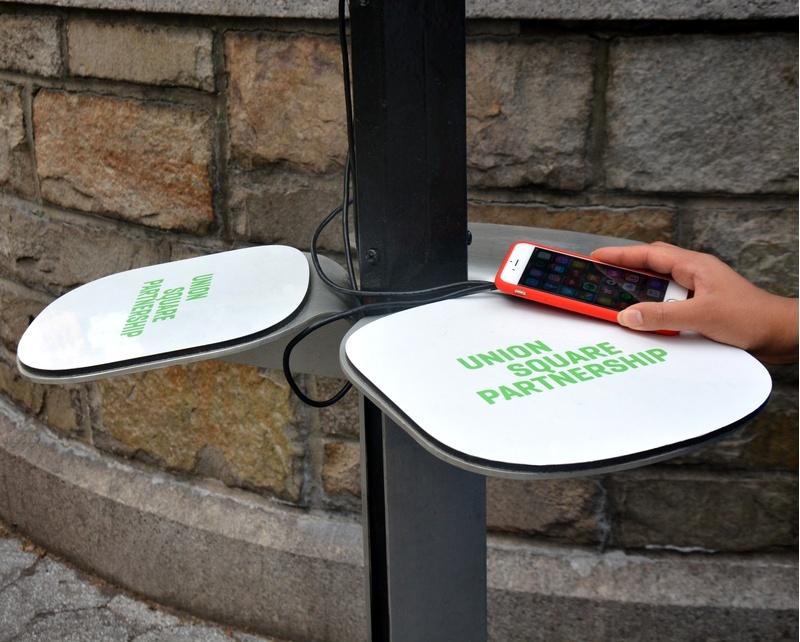 This summer the logotype also appears on two new charging stations as part of a pilot program to bring the solar-powered units to New York City parks. 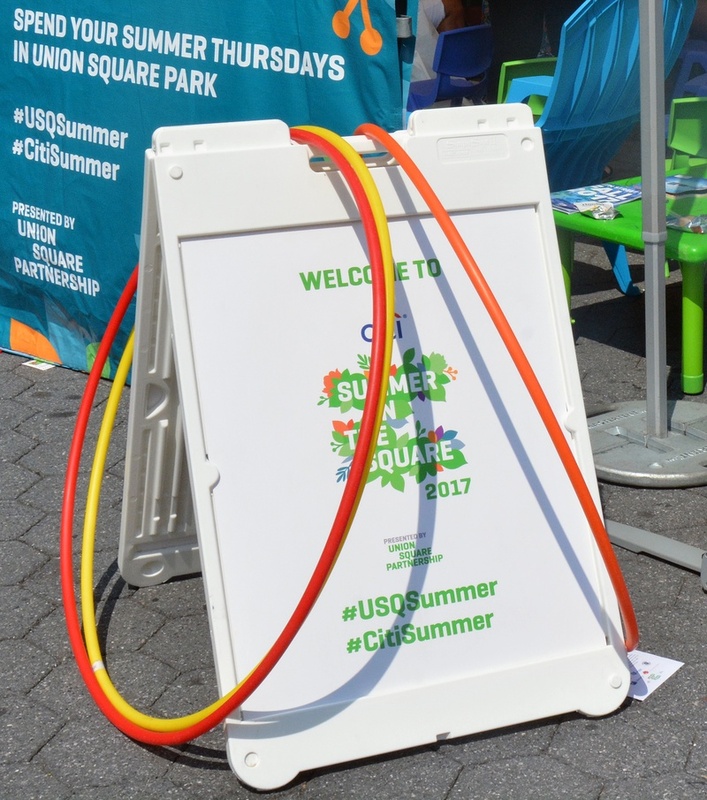 The event marks the third year of C&G's ongoing relationship with Union Square Partnership. 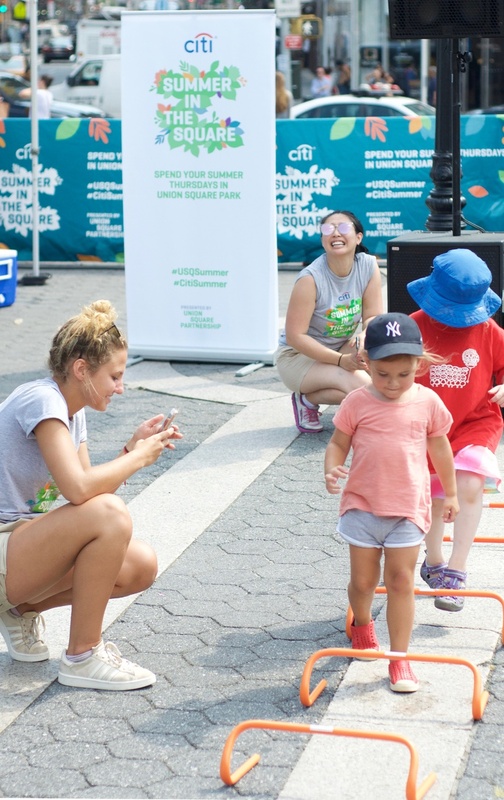 In a way, the branding work we do together serves to rebrand the neighborhood, helping to shape the district's fast-paced, community-oriented energy.